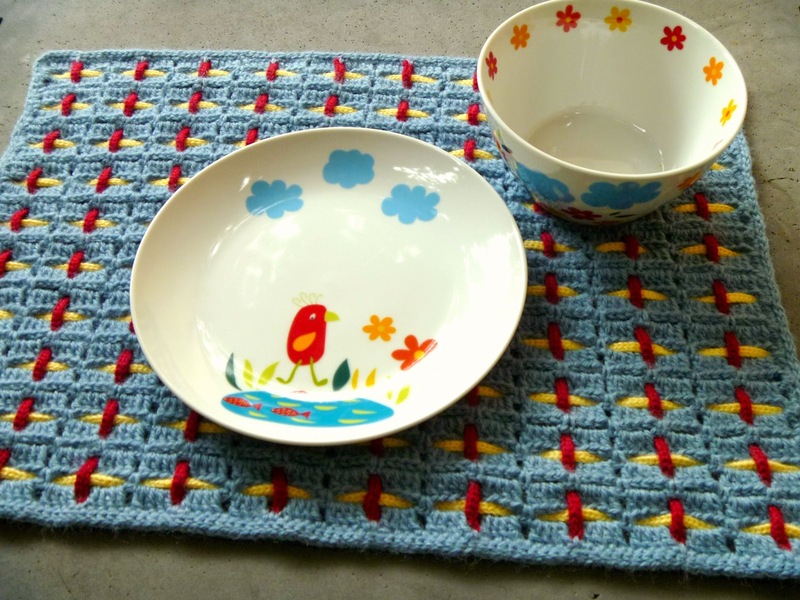 Stitch Story: So Many possibilities for the Woven Placemat! 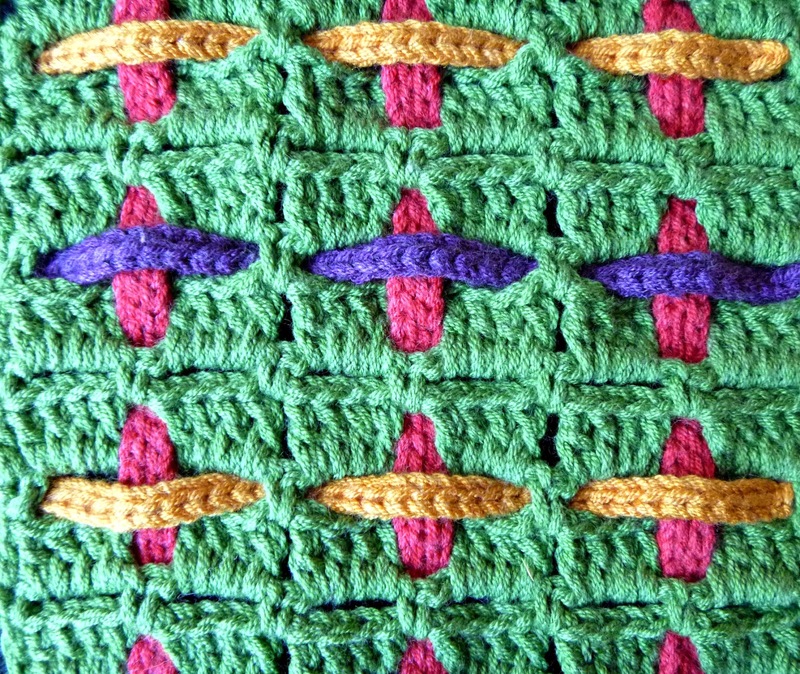 So Many possibilities for the Woven Placemat! Below is a close-up of the original version of the placemats. 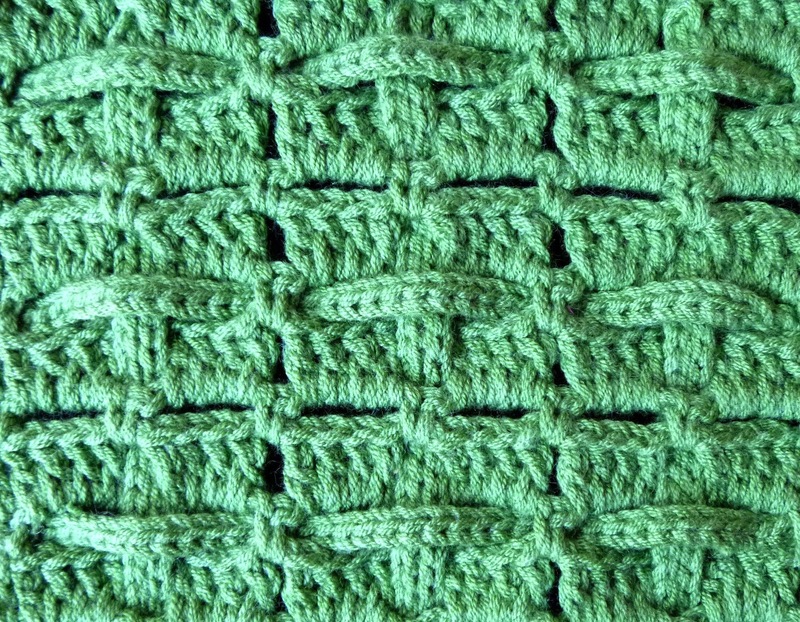 One color for the background with 2 different colored cords woven through. 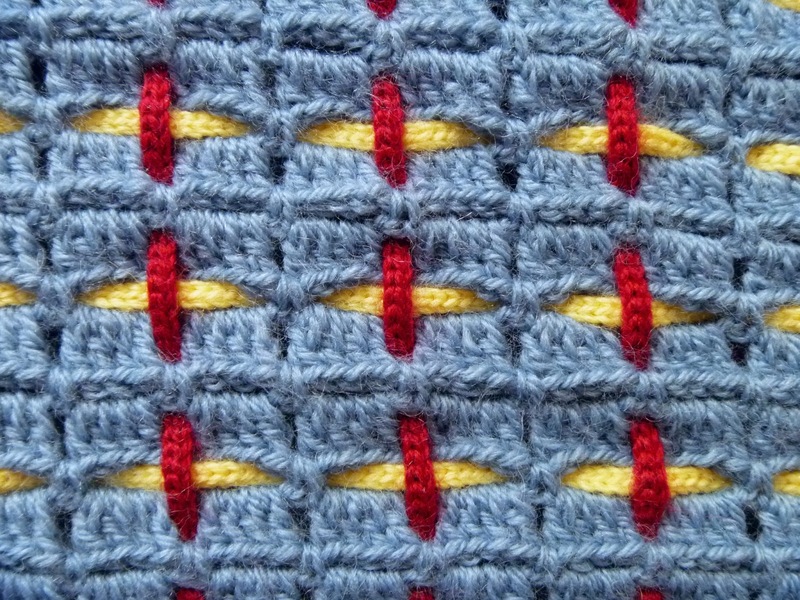 You could also weave ready made cords or rick rack through for an interesting effect. 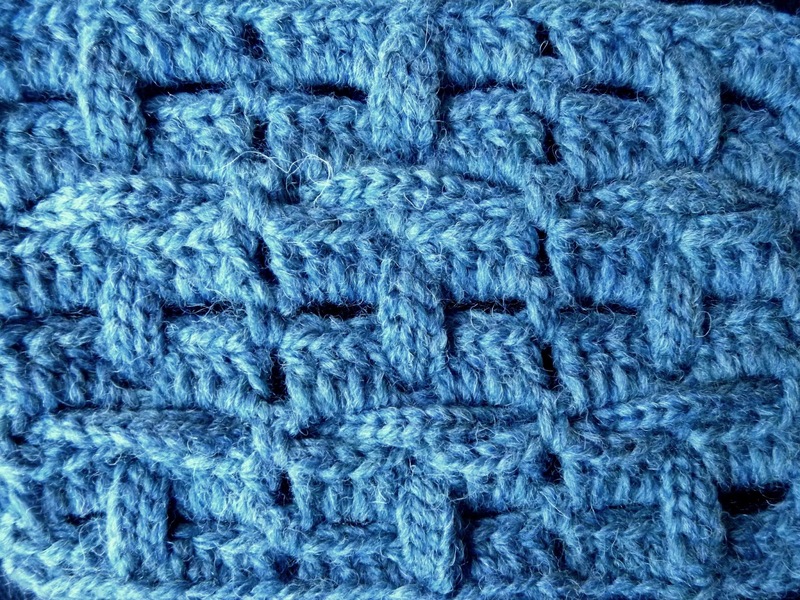 Or vary the pattern of the colors of the cords when weaving them in, to give you the look of a plaid. 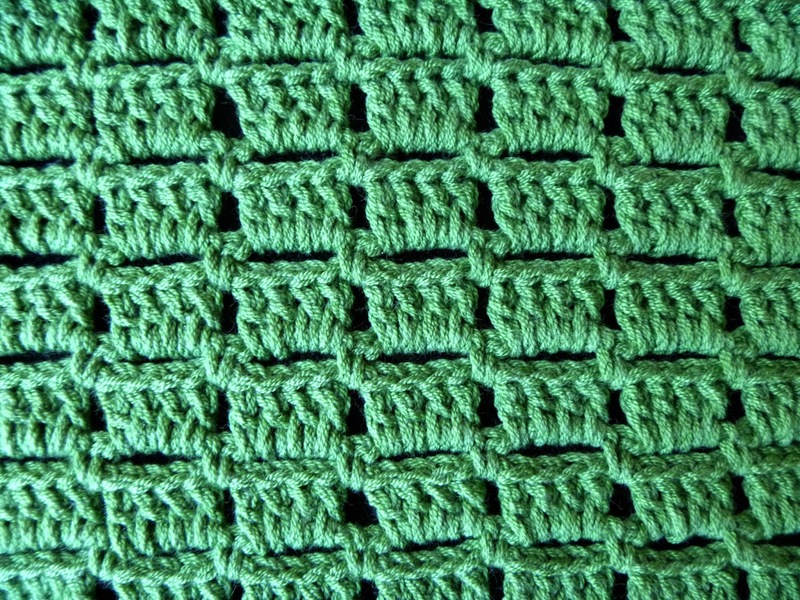 Try out different ways of making the mats in small square swatches, which can become coasters! So many possibilities! How would you make yours? Vote for the Sunny Day Skirt! Free Valentine Crochet Ring Pattern!